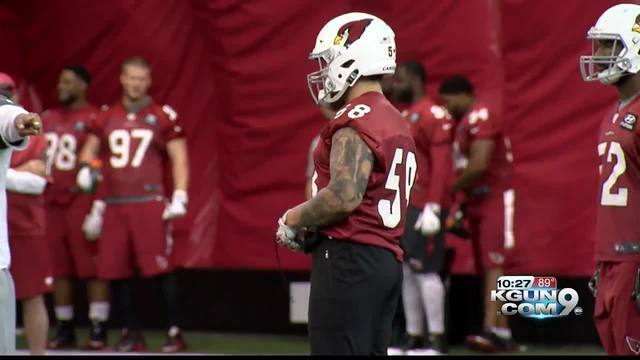 From the U of A, to the Browns practice squad, to Cardinals defensive unit, former University of Arizona linebacker Scooby Wright is starting to feel right at home. Wright, a 2014 consensus All-American, is finishing up organized team activities for the Cardinals. With the injury to starting linebacker Deone Bucannon, Wright is seeing time behind veteran Karlos Dansby and newly signed Haason Reddick. "It feels good just to have that off season under my belt a little bit so I can learn the defense a little more and get comfortable and know how things work," said Wright. Wright caught the Cardinals attention prior to the 2016 draft and the team would have signed him as an undrafted free agent. However, the Browns selected Wright in the 7th round. After initially making Cleveland's roster, he was relegated to their practice squad. Arizona then scooped him off the Browns practice squad. In three games with the Cardinals, the 6'0'' 240 pound Wright notched one special teams tackle and one assisted tackle. 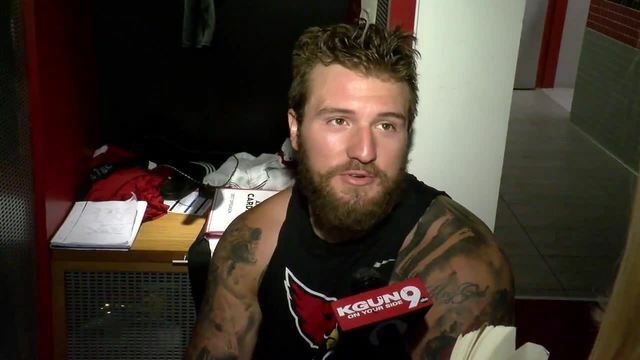 "He came in here last year and he helped fix our special teams because he's dynamite covering," Cardinals coach Bruce Arians said Thursday following an OTA practice. "He got to where the guys watched him cover; that's always a fun thing when the sidelines say, 'Hey, watch Scooby' and he'd go down and blow some stuff up." "Being that aggressor and making plays, that's what they like here," said Wright. "They want guys who go make plays and that's what I want to do here." "He's a football player, he's a football player," Arians said. "A lot of times that chart that says what a football player is, it doesn't compute. He's a football player."